So, the other day I bought little Miss 4.5 year old a gift that I thought was ‘cool’. It was a $3 coloured plastic geometry set. What? She’s been into drawing with rulers and stencils lately so I thought she would love it. Admittedly, building up the drama of receiving a geometry set with “I’ve got a surprise for you” didn’t get me off to a good start. And there it was. The first look of genuine, wavering bottom-lipped dissapointment that I’ve been responsible for. She looked at the geometry set and then me as if I was the meanest mother on earth. And then, I found it! 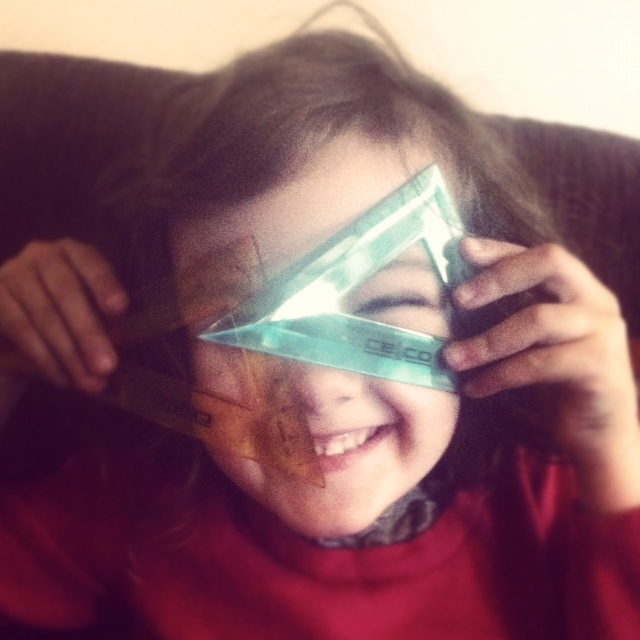 The reason for a 4.5 year old to have geometry set, that IMMEDIATELY stopped the tears, elicited smiles and even a ‘thanks mum, this is cool”….